Most Pinterest experts guide you through best practices of using Pinterest with WordPress-based websites. But the truth is, use of platforms other than WordPress, namely Squarespace, is growing by leaps and bounds. Pinterest is considered a social media website, but it’s so much more. In my opinion, Pinterest isn’t really about connecting socially, it’s for finding useful information and saving it for later. Ask anyone who uses Pinterest, and they’ll tell you they use it to find ideas for just about everything. From chicken dinner recipes, to tips on running your small business, it can all be found there. The social part comes into play when people follow each other for their ideas, and as they save those ideas to their own boards, that person’s followers see that pin. Information on Pinterest lives forever. It can be pinned and re-pinned several thousand times over. On social media sites like Facebook and Instagram, your posts get buried in the feeds so quickly that most of your followers never even see them. Even if the post does get some likes, it’s likely not going to be shared to many other people. If you create a great blog post and put it out on Pinterest, it can always be found. In fact, I’ve ready many stories of bloggers whose pins from several months prior “came back to life” once they were pinned by the right person and gained steam. The idea is that these pins will always lead back to your website as an eternal source of traffic. To start, you’ll need to sign up for Pinterest for Business by visiting www.Pinterest.com, and selecting to Create a Business account. It will ask you some questions about your business and your interests, so it knows why kind of ideas to add to your feed. Once you’re past the prompts, you’ll come to a screen to add your first pin, but you can do that later. First and foremost, you’ll want to complete your profile in the settings. On the upper right-hand corner of the page, you’ll see three horizontal dots that represent a dropdown menu. From the menu, choose settings, and add as much information about you and your business as possible. Make sure to add your profile photo. Instead of a business logo, make sure you add an actual picture of you, the person doing the pinning. Seeing that a person is behind the profile is more endearing to your potential followers, and you’re more likely to be followed than a “cold” business. Featured Boards will be something you’ll use in the future, so don’t worry about that right now. We’ll claim your website in the next step, so for the time being, skip that, too. You will, however, want to claim other accounts you may have, following their prompts. Once that’s done, you can also connect to other Social Networks and choose your notification preferences. Claiming your website is extremely important. However, it’s a bit confusing. You’ll enter your website to claim, and a window will pop up asking you to pick a claim option: either Add an HTML Tag, or Upload an HTML file. HTML what?? At this point, you may be contemplating giving up on this and just skipping it, but trust me, it’s super easy! Start by logging in to your Squarespace website. Then, select Settings > Advanced > Code Injection. Do not be intimidated here! You’re not going to mess anything up, I promise. In Pinterest, choose the option to Add an HTML Tag. 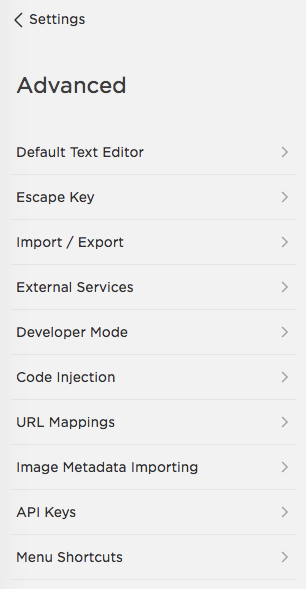 Copy the code, and paste into the Header code box on the Code Injection page on Squarespace. That’s it! Go back to Pinterest and choose Next, then Submit on the Submit for Review Page. Once your website has been claimed, you’ll see the globe icon with a check mark next to your website on your profile - that indicates you’re legit. The sky’s the limit when it comes to what you’ll pin in general. Basically, you’ll want to pin ideas that are relevant for your target audience. The best pins will have vertical images that stand out in your feed and will grab the attention of your followers. Your ultimate goal, however, is to pin blog posts from your Squarespace website that will attract more visitors. How you blog and what you should be blogging about are topics for another day. Since this is Pinterest, we’ll be focusing on the images you need to add to those blog posts. If you haven’t heard of Canva, you’re going to want to send me a thank you bouquet, because it is about to become your new best friend! Heck, even our 8-year-old loves Canva since I introduced him to using it for school projects. So, what is it? It’s a free website where you can create and download beautiful graphics. You have the option to upgrade to a paid version, but you can do just about anything you want without it. It’s really easy to use, and dare I say it, fun! Start by visiting Canva.com, and signing up for a free account. Canva has a variety of templates available that are already sized in the dimensions preferred for that use. Once you sign in, you’ll see options on the left-hand side. You’ll want to start with Create a Design, and you can either type “Pinterest Graphic” in the search bar, or scroll through the templates and find it there. Either way, it will already be in that pretty vertical layout that you want. On the next screen, you’ll see your blank Pinterest Graphic template. There are a variety of pre-made images on the left-hand side of your screen, many of them free, some paid. Those are a good place to start, and you can change images and text as you like. I suggest using images that make sense for your blog post topic, and colors and fonts that are similar to those on your website. Doing so creates a cohesive brand, and will help your pinners relate those images to your website and recognize your work. Once you’re happy with your design, select Download in the top right-hand corner, and choose the file type you’d like to download. JPGs tend to be smaller file sizes, which is a good thing when you’re adding images to your website. PNGs can sometimes be more crisp, depending on the colors you’re working with, but either one works just fine. Run your image through a file compressor like TinyJPG so that it is less than 500KB. Long story short, any file size larger than that on your website can slow it down. Once your image is ready, you’ll select insert image in your blog post. Upload the image, and choose your preferred design. I usually select the Inline design and elect not to display the caption below the image. 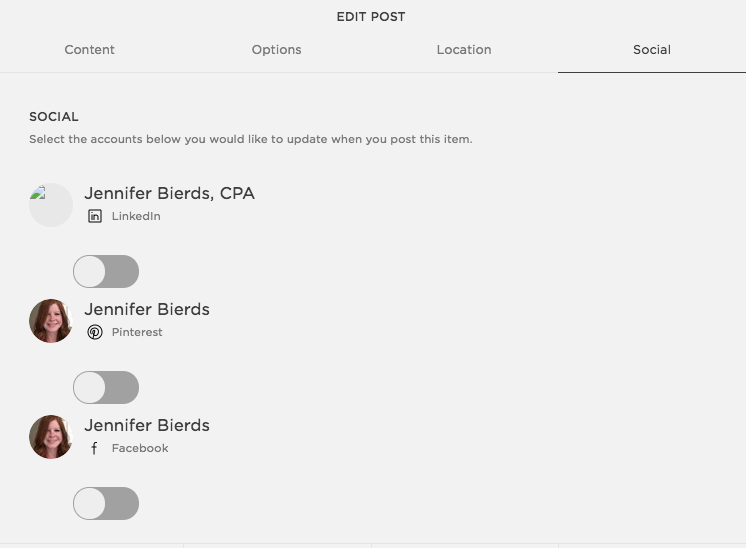 If you have your Pinterest account linked to your Squarespace, then you can go to the Social tab when you’re editing your post and choose to push it to Pinterest. Once you publish your post, it will automatically be posted to Pinterest. This isn’t the worst idea if you’re in a hurry, but it’s also not doing you a lot of favors because you’ll have a limited pin description on Pinterest. You’ll end up having to go to Pinterest and give it a fuller description anyway. 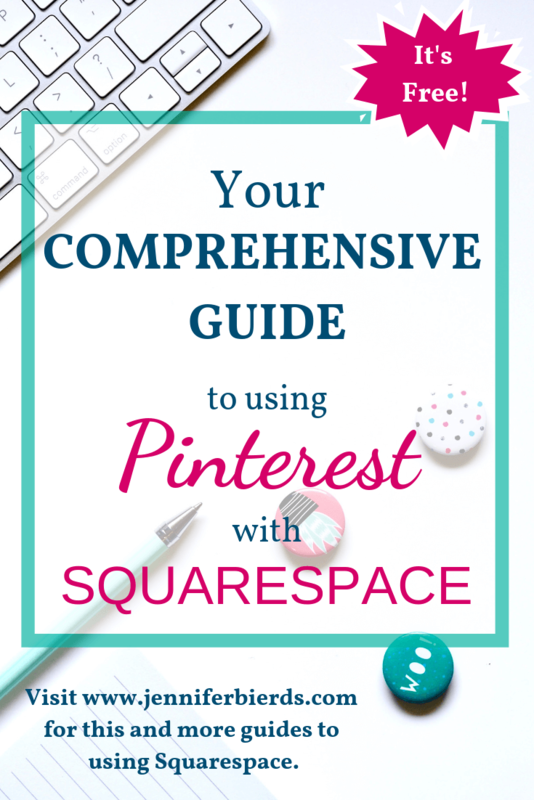 The better option is to manually pin your post to Pinterest from Squarespace. First, you want to make sure that you have the Pin It buttons enabled for your images. From the Homepage in Squarespace, choose Marketing, then Pinterest Save Buttons. Choose the style of buttons you prefer, and you’ll now have the “Pin It” or “Save” buttons appear on your images so they’re easily pinnable to Pinterest for you and your visitors. Once you have the Pin It button enabled, go back to your blog post. Make sure you’re logged into Pinterest on another tab, and click the Pin It button on your blog image. You’ll be prompted to choose a board and edit the description. As you can see, I have several boards, but even if you have none, you can create one to get started. Add a description that appeals to your target audience and includes keywords of what they may be searching for. Make sure to prompt them to visit your website, since that’s the whole point! There are a lot of things to consider when using Pinterest, but there are some basic rules that will get you ahead. When you’re getting started, create several boards, and pin at least 10 items per board to fill out your profile. Create square images in Canva as your board covers, and pin them to each board, selecting them as your board cover. As with your blog images, choose colors and fonts that correlate to your website so you have a unified brand. Make sure you create a board just for your blog posts. Since your blog images will have similar colors and fonts, over time this board will fill up with your branded posts. You can select this board as for your featured pins at the top of your profile, and you will, again, have a unified look to your profile that is the same look as your Squarespace website. Whenever you create a blog post, you’ll have one primary image in that post that you’ll pin. Create 2-3 other images for that same blog post, and create pins using those alternate images, linking back to the same post. This puts the same information out there in different ways, and different images will be attractive to different pinner. Pin on a regular basis and follow other like-minded pinners. Try out scheduling tools like Tailwind to make pinning easier. Over time, your following will grow, and you’ll see increased traffic to your website as a result. Now, you’ve got all of the information you need to know to get started using Pinterest with Squarespace. The really tricky part is consistently creating blog content to share on Pinterest. If you’re needing a little push for getting those blogs done, here’s more info on why you should be doing it and the benefits for your site. As always, feel free to reach out to me with any questions. 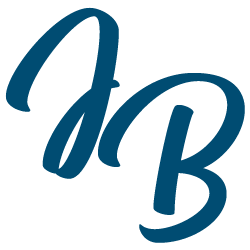 If you’re interested in a Squarespace website for your small business, book a free consultation call with me here. Or, if you’d like to see my portfolio first, click below.